Graceful pure white plumes on contrasting red stems. 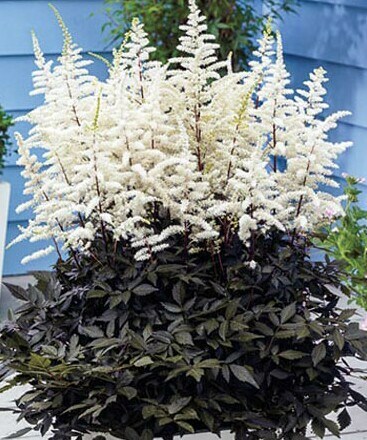 Dark bronze glossy foliage changes to dark green after flowering time. Perfect for any shady garden with rich and moist soil.